I don’t think I could have chosen a better day to share this recipe. The rain is (finally) coming down in buckets outside as Cape Town gets pummelled by a monster storm and right now I can think of no better lunch than a steaming bowl of delicious soup. Preferably followed by a nap. Local schools have been closed for the day due to the storm so there is not much chance of the latter but I will settle for soup! 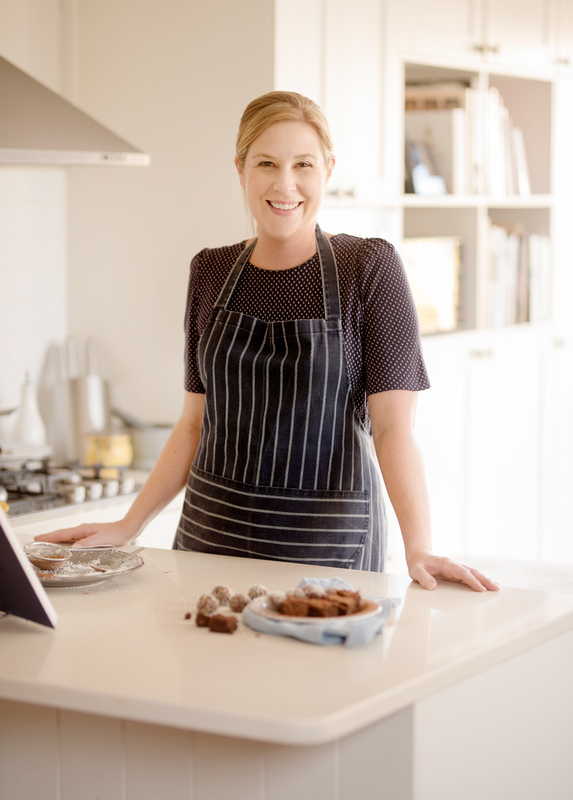 I enjoy all kinds of soups, but I tend to favour the classics – for me nothing beats good old tomato soup or a creamy butternut soup. I have kept this recipe fairly simple with a touch of warming spice to complement the veggies. This is an easy soup to throw together and the best part is that you can make a big batch and freeze it, ready for those cold winter days. 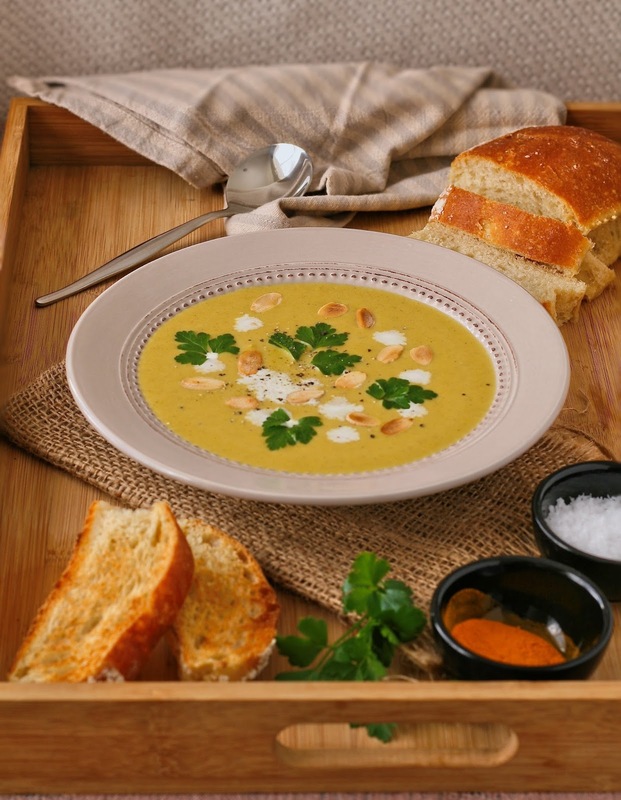 For more soup inspiration please check out these recipes for french onion soup, mushroom soup with chevin and thyme toasts, and carrot and coriander soup. What is your favourite soup when the weather turns chilly? 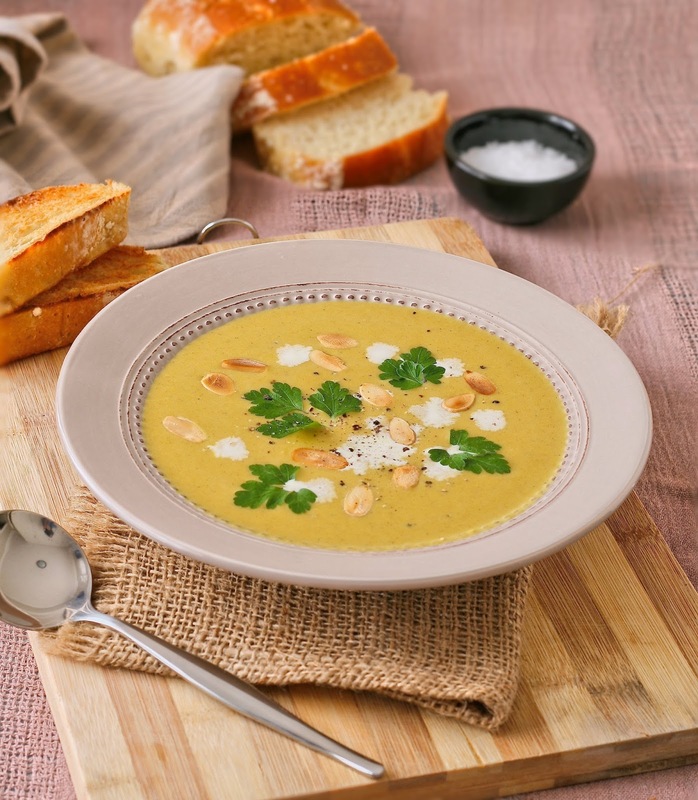 Serving suggestion – top the soup with toasted flaked almonds, flat leaf parsley, a swirl of cream and some freshly ground black pepper. Add a few slices of toasted ciabatta and you are good to go! Make ahead tip – make a batch of soup and freeze in single portions for soup anytime you feel like it. 1.) Heat the olive oil and butter in a large pot over a low heat. Add the onion, leeks, celery, butternut and potatoes. Cover the pot and leave the vegetables to sweat for 10 minutes. Shake the pan regularly to prevent them from sticking to the bottom. 2.) Increase the heat to medium. Add the salt, turmeric, ginger and cinnamon and stir for a minute or two. Add the stock and stir well. Leave to simmer until the vegetables are tender, about 20-25 minutes. 3.) Set the pot aside to cool for a few minutes. 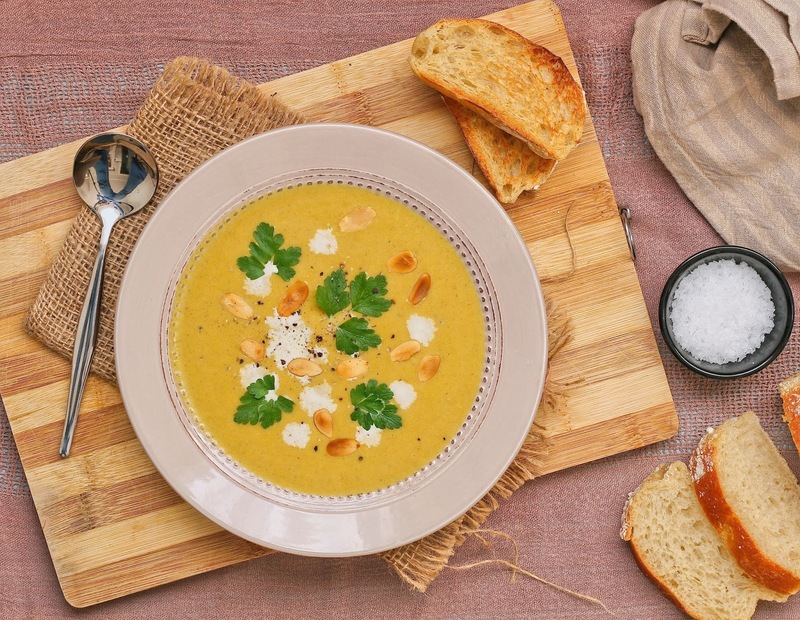 Use a food processor or stick blender to puree the soup until smooth. 4.) Return the soup to the pot and stir in the cream and sherry. Heat through over a low heat. Check the seasoning and serve. I absolutely LOVE butternut soup. I make mine a bit differently….I actually think I need to make a pot now after seeing this post. Your pictures are beautiful! I am actually having butternut soup tonight! What are your thoughts on substituting coconut milk instead of cream for a dairy-free option? Ooh yum, perfect night for it! Coconut milk is perfect for soups. It might alter the flavour slightly but it should be fine to use instead of cream.